By Jennifer Burcke on October 8, 2012 Visit Jennifer's Website. by Jennifer BurckeOver the last two years, I have shared my family’s journey to become chicken keepers with the readers here at Community Chickens. 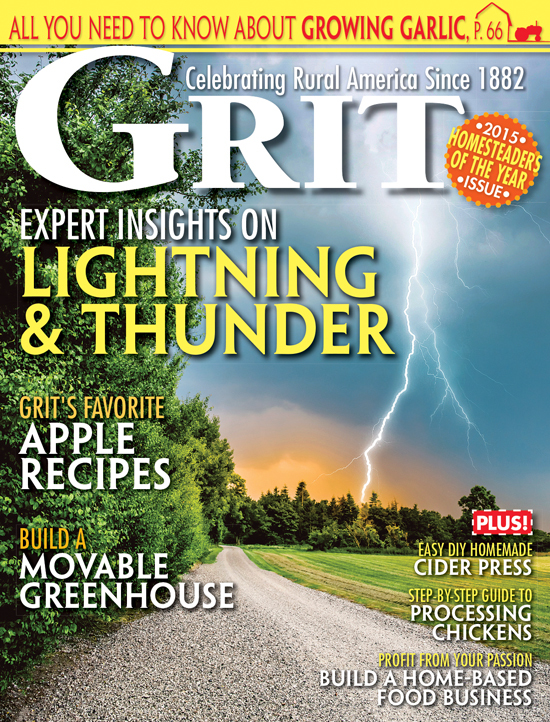 It has been an incredibly rewarding experience during an exciting time in my adult life. In two short years, my family has experienced everything from the arrival of our first batch of chicks to the collection of our 1,000th fresh egg. During that time, you have embraced 1840 Farm and its residents both farmer and livestock with open arms. You have celebrated our successes and offered suggestions when I admitted our failures. In fact, when I wrote in January about my struggle to replace the frozen water in our coop several times a day, you overwhelmed me with your warm responses. On the days after I published that post, I received dozens of comments with helpful suggestions. Several readers took time out of their busy days to send me photos of their homemade solutions. In fact, one reader even sent me step by step instructions to build a heated waterer using common parts from my local hardware store. Your creativity and resourcefulness amazed me. Your willingness to share your best chicken keeping knowledge reminded me of the communal nature that I so love about the farming experience. It also convinced me that the time had come for me to help you share your story with the thousands of readers at Community Chickens. Do you have a chicken keeping tip to share? Have you just finished building your chicken coop and can’t wait to share photos of your flock settling in to their new home? 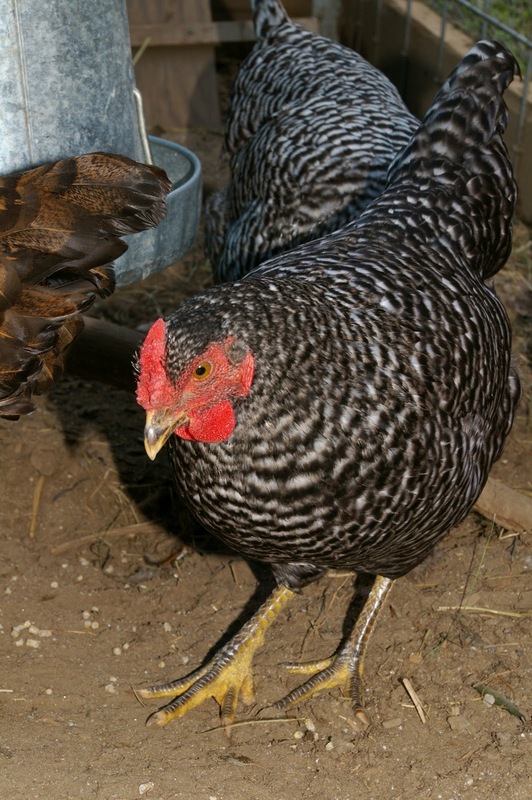 Do you have an innovative, simple solution to a common chicken keeping challenge? Would you like to share your own unique story of your journey to become a chicken keeper? If so, I look forward to reading all about it. To share your experience, please visit my blog and submit your story. I can’t wait to read all of them and begin sharing them with our faithful readers! 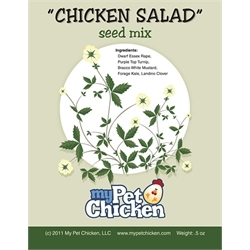 Congratulations to two Community Chickens readers who were randomly selected as the winners of my giveaways for My Pet Chicken’s Chicken Salad Seed Mix. Gloria and Kevin will each receive a package of seeds to grow delicious and healthy greens for their flocks. You’re always welcome at 1840 Farm. To make sure that you don’t miss any of the excitement, giveaways or unending supply of cute photos , follow us on Facebook to read the daily news from the coop at 1840 Farm. A pullet typically begins laying sometime after it is 20 weeks old. However, many other factors can affect egg laying. This time of year is difficult as Mother Nature does her best to tell our flocks to slow down and use their energy to molt and endure the coming winter. 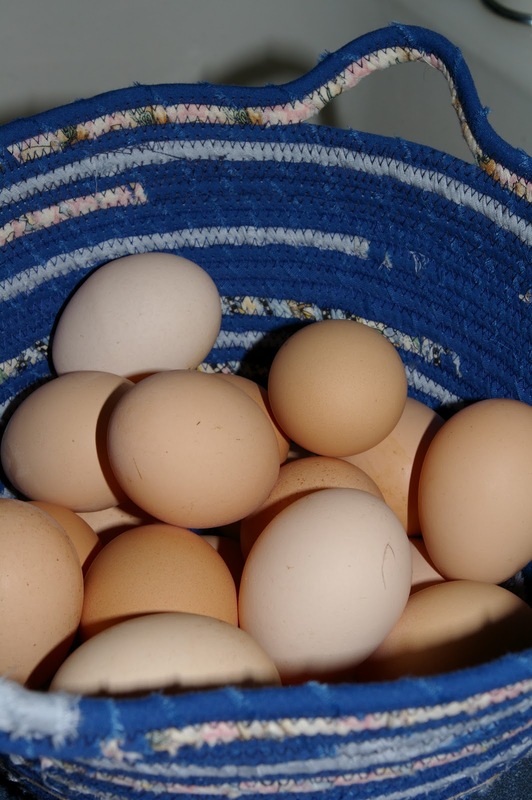 With less daylight, fewer eggs (or longer maturation before the first egg) are not uncommon. Keep feeding layer pellets, providing fresh water and checking those nesting boxes every day! I am new to the chicken keepers. We bought 10 last week, 5 were “24 weeks old” and 5 were about 8 or 9 weeks old. We have yet to see any eggs from the pullets and we lost one chick due to a couple of mean older hens with pecking order issues. LOL. we kept them separated for a few days and that seems to help, but i am wondering how soon we should be expecting eggs from the pullets that are now 25/26 weeks. I feed them layena/purina and give them veggie scraps every day and also grind up egg shells to put in there food. Are they stressed, or why are they not laying? It is nice to know that there are others with the same dilemmas, heartaches, and successes. Sharing our combined experiences makes us ALL better chicken keepers!